A mega hit Korean television drama “Bread, Love and Dreams” in 2010 features a Korean bakery chaebol’s illegitimate child overcoming all varieties of hardships with passion to make quality bread. Although the main character Kim Tak-gu’s complicated family background is fictitious, his unyielding passion for bread and pastry originates from the real life story of Hur Young-in, chairman of SPC, the country’s largest confectionary group. Hur is undisputed “bread king” in Korea, running a number of widely popular bread and non-bread brands including Samlip, Shany, Paris Baguette, Dunkin‘ Donuts and Baskin Robbins. The latest addition to this is Shake Shack Burger, the New York-based casual restaurant chain which opened here this summer to exposive responses from young, trendy Koreans. Hur was born a second son to Hur Chang-sung, who set up bakery Sangmidang first in Hwanghae Province (now in the territory of North Korea) in the 1940s, then in Seoul. Sangmidang grew to a major food company Samlip General Food which in 60s hit the jackpot with its billion-selling cream-filled pastry. Growing up with flour and fillings, the young Hur was inspired by his father and cherished a dream that one day he would lead the nation’s bread industry. In 1981, the junior Hur got himself enrolled in the American Institute of Baking in Kansas and learned the art of breadmaking for a year and half. In 1983, after the completing the AIB course, Hur took over operations of Shany, Samlip’s high-end line. He launched a luxurious French-style bakery Paris Croissant in 1986 when he noticed that mass produced cream-filled buns won‘t satisfy the the palate of customers any longer. Two years later, he opened the bakery chain Paris Baguette which is now Korea’s No. 1 bakery franchise. Hur also brought many popular foreign bread and food franchises to Korea, such as Baskin Robins and Dunkin‘ Donuts. In 2002, he took over Shany’s parent company Samlip General Food which under control of his elder brother was facing a financial crisis. In 2004, Hur established SPC Group that oversease both Samlip, Shany and scores of other franchises. This July, Hur successfully brought in America’s roadside burger joint Shack Shack Burger to Seoul. The personal wealth of Hur is not known, since a chunk of his assets are in unlisted stocks of SPC companies. 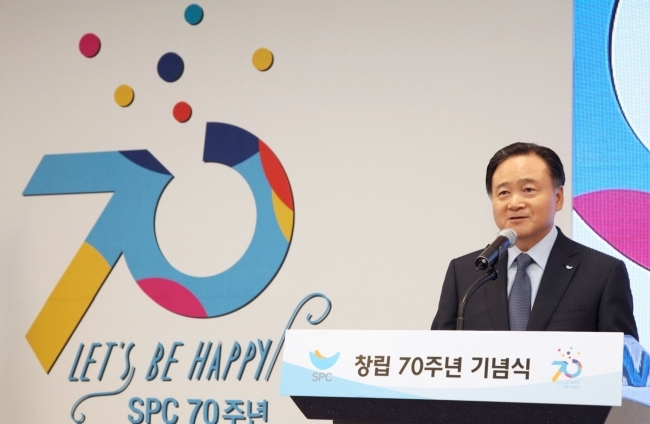 His fortunes exceed 580 billion won at least, given that he holds 64.5 percent of Paris Croissant, which is the biggest shareholder of Samlip, the only SPC unit whose shares are publicly traded. America’s business and financial news magazine Forbes estimates that Hur’s net worth is 1.7 trillion won ($1.6 billion). The magazine picked him as one of the world’s billionaires this year.